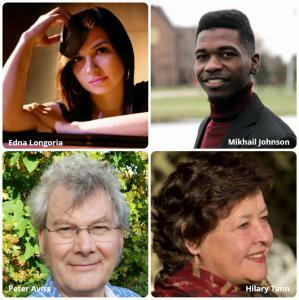 NEW YORK, NY, USA, February 11, 2019 /EINPresswire.com/ — North/South Consonance, Inc. celebrates mid-winter with a free-admission concerts to be held on Sunday afternoon February 17 at 3 PM. The North/South Chamber Orchestra under the direction of Max Lifchitz will perform for the first time in New York music by composers hailing from the United Kingdom, Jamaica and the US including Peter Aviss, Mikhail Johnson, Edna Longoria and Hilary Tann. 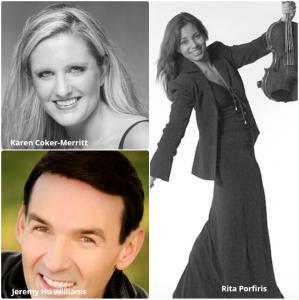 Soprano Karen Coker-Merritt; baritone Jeremy Huw Williams and violist Rita Porfiris will appear as soloists. Peter Aviss' Concerto for Viola was completed in 2017. Infused with great rhythmic vitality the writing shows off the beautiful tone of the viola. In three contrasting movements, the music contrasts moments of reflective repose with more robust driven sections. A native of Croydon, England, Aviss studied at the Guildhall School of Music and is the founder/director of the Oare String Orchestra. Violist Rita Porfiris will be the featured soloist for this work. A graduate of The Juilliard School, Ms. Profiris performed with the Houston Symphony for several season before joining the faculty of the Hartt School of Music in Hartford, CT.
Mikhail Johnson's Misereatur takes its title from the first part of the absolution service in the Roman Catholic liturgy. The peaceful, single movement work was inspired by a scene of from HBO's television series The Tudors in which the pope began to pronounce a blessing on his onlookers. Born in the rural hills of Maroon Town in the parish of St. James, Jamaica, Johnson is one of that country's most promising pianists and composers. After attending the Northern Caribbean University, Johnson was awarded a fellowship to continue his training at Texas Tech University. Edna Longoria's Danzas Cautivas (Captivating Dances) reflects the composer's Latin roots. In the manner of a dance off, the music tells a story about three guys trying to win a girl's heart on the dance floor. After several dances in which each guy shows off his moves and gets a chance to dance with the girl to impress her, the work concludes with a dance for the three of them. Born in McAllen, TX, Ms. Longoria grew up in Reynosa, Mexico and studied piano and composition at the University of Texas and the Bob Cole Conservatory in Los Angeles. Hilary Tann's Mellangel Variations for soprano, baritone and string orchestra was inspired by a visit to the Shrine Church of Saint Melangell, at Pennant Melangell, deep in the Berwyn Mountains of Wales. The work consists of a setting of three poems from "The Hare That Hides Within," by former Welsh poet laureate Gwyneth Lewis. The texts capture the ancient story of a young female hermit whose grace and piety led her to shelter a hare in her robes while keeping a hunter's hounds at bay. Melangell would eventually become the abbess of a sanctuary, now a place of pilgrimage. Often inspired by nature, the works of Welsh-born Hilary Tann have been praised for their lyricism and formal balance. A long-time resident of Upstate New York, Tann serves as Chair of the Music Department of Union College in Schenectady, NY. Soprano Karen Coker- Merritt served as Head of Voice Faculty for the Choir of Men and Boys and the Girls' Choir at the historic Grace Church in New York City before joining the voice faculty at Stetson University in Florida. Baritone Jeremy Huw Williams is renowned as a fine exponent of contemporary music and has made many commercial recordings, including eight solo discs of songs. He is a principal singer with Welsh National Opera.